Thanks for having me again, Jenny! 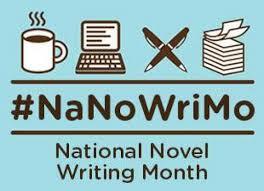 Happy St Andrew’s Day, everyone – and to all NaNoWriMo participants, take a break! Your job is almost done. November didn’t start brilliantly chez moi. The Saturday before we came home from our brilliant-but-too-short hols, #2 son supervised installation of a (ludicrously expensive!) 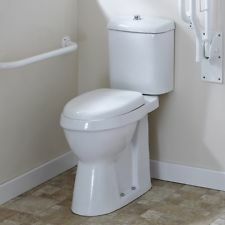 high-rise, disabled-friendly upstairs loo at my mother’s house. The old one was low-ish and being a bit wonky on her feet now, she sometimes had difficulty sitting down on it, despite the grab handles each side. 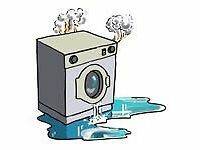 Super Plumber did a grand job, as always, but mentioned in passing that he didn’t have absolute confidence in the flushing mechanism. 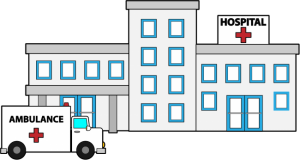 The stressing didn’t stop there – I didn’t see the OH for over two weeks because his colleague’s son was rushed to hospital with suspected (later confirmed) meningitis and so OH was working insane hours down at their London base, holding the fort. I’m pleased and relieved to report that the little boy responded very well to treatment and made a full recovery. Kudos to the parents who didn‘t hang around and got him immediate treatment as soon as they realised something was wrong. Not such a happy ending for #4 son’s much-admired boss, though – he died soon after being diagnosed with cancer and #4 was heartbroken, especially after losing his beloved grandfather a short while before. But let’s move on. 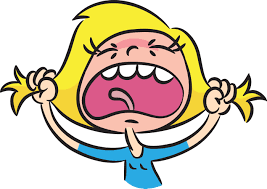 Hands up who has a birthday today – I mentioned Winston Churchill, Mark Twain, Gary Lineker, David Nicholls and John Bishop last year, so best not repeat myself or Jen will give me the sack. The first fist I see waving madly in the air belongs to William Michael Albert Broad (one of the Norfolk Broads, I hear you ask?) 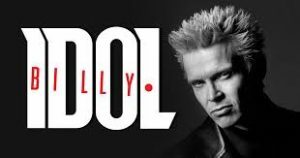 who is better known to most as Billy Idol – he’s sixty-two, so perhaps a little long in the tooth to still be described as a punk rocker. You decide. The stage name Idol evolved from a school teacher accusing him of being idle, but not wanting to be confused with Monty Python’s Eric Idle (as if!) Billy opted for the alternative spelling – so perhaps not the huge ego trip that calling oneself Idol suggests. 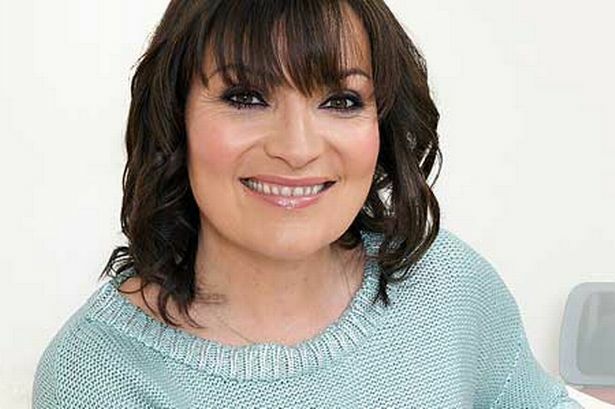 Next up, we have journalist and TV presenter, the ubiquitous Lorraine Kelly, who is fifty-eight today. I’ve never watched any of her programmes but I have seen her prancing around the screen advertising frocks and fripperies – just don’t ask me the brand name. In a survey, Kelly was voted the celebrity from whom most people would like to buy a car – an honour of sorts, but not really comparable to receiving an Honorary Doctor of Law degree from the University of Dundee (2008), being made an Honorary Colonel in the Black Watch Cadets (2009), and receiving an OBE in the 2012 New Year Honours List. 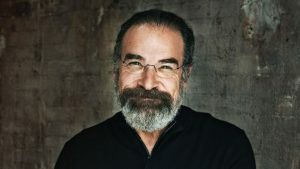 American Criminal Minds actor and singer, Mandel Bruce (Mandy) Patinkin is sixty-five today. Born in Chicago, Illinois he got the smell of the greasepaint as a young teen, singing in synagogues, before training at the Julliard School performing arts conservatory in NYC. One of his contemporaries there was Kelsey Grammer (Cheers!) and other alumni include Robin Williams, Kelly McGillis, Kevin Spacey (can I still mention him? ), Val Kilmer and Linda Kozlowski – better known as the ex-Mrs Crocodile Dundee. Keeping his tonsils exercised, Mandy P sings a rather lovely version of Younger than Springtime from Rodgers and Hammerstein’s South Pacific here; www.youtube.com/watch?v=Ii465lXLp8w In our local cemetery, a baby girl’s tiny teddy bear gravestone is touchingly engraved with the song title. What has happened historically on this day, I hear you ask? Well … way, way back when, there were a few Pope-related shenanigans, starting when St Marcellus I began his reign as Catholic chief banana, in the year 306. Skip forward a little over four centuries and Pope Gregory II declared Boniface (previously known as Winfred – not sure which is worse) as a missionary bishop to Germany (722.) Not sure what that is, but I assume Boniface was a happy bunny. Pope Innocent III was perhaps inappropriately named – I couldn’t possibly comment – being a little big for his papal boots. He even looks a bit shifty in his portrait *cowers, awaiting well-aimed boulder to land on head*. 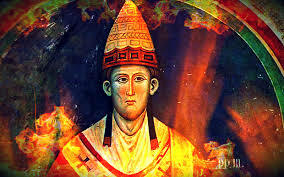 Surrounded by intrigue from the moment the white smoke billowed forth to gas everyone and signal his election – on the very day in 1198 that his predecessor, Celestine III expired – the Pontiff previously known as Lotario de’ Conti, became ever more autocratic. Papal power was already based on far more than scriptures – previous popes had acquired large amounts of land, so that bishops and clergy were, in effect, agents of Vatican business. Pope Innocent III’s increased involvement in elections escalated when he formed the Fourth Lateran Council and summoned approximately twelve hundred bishops, abbots and nobles from around Europe to assist in amending current laws and creating new ones – thus further influencing the masses (religion being their opium) to support the Pope as the universal authority of the Empire. 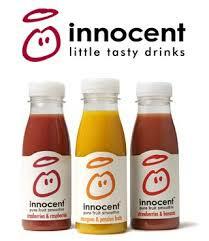 Rocking a bit of a superiority/God complex there … Innocent (wonder if he liked smoothies? Sorry!) shut up the FLC shop on this day in 1215. In 1406 Angelo Correr was elected Pope Gregory XII, exactly one hundred and forty-eight years before England reconciled with Pope Julius III in 1554. That was less than nine months after Nine Day Queen, Lady Jane Grey was executed for treason aged just sixteen. Thought I’d throw in that random fact for general consumption, to check if you are still awake. 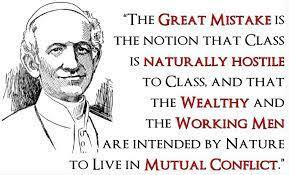 In 1891, Pope Leo XIII’s Rerum Novarum (The Condition of Labour) was published – or that’s what it says on the onthisday.com site that I frequently consult. However, when I went on to do further research, more than one other web site gave the publication date as 15th May 1891 – I shall write to my MP and complain. Meanwhile, back in the real-ish world, Rerum Novarum examines the history of Catholic social thought, establishing the RC position on issues surrounding the relationship between capital and labour (sound familiar?) – a hypothesis that emphasizes the duties and obligations that bind owners of capital and workers to each other. Leo articulates the dignity of labour and labourer, renouncing both radical socialism and unrestrained capitalism – call me picky, but that’s a bit rich coming from the leader of a regime that owns much land, and enjoys massive wealth and obscene privilege, while the peasants bow, scrape and starve. 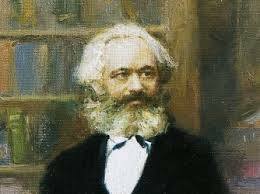 The work defends both private property (cue Jean-Jacques Rousseau, Karl Marx and others spinning in their graves) and the right of workers to form unions. Now, I invite you all to hop aboard the Tardis and fly with me to 2015, when the current incumbent, 266th Pope and ex-nightclub bouncer, Francis, urged peace while visiting a controversial mosque in Bangui, Central African Republic on 30th November – a champion of inter-faith dialogue, it perhaps wouldn’t have hurt to mention his previous career to any would-be agitators. 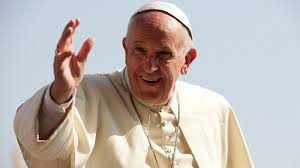 As popes go, Jorge Mario Bergoglio – who took his nom-de-Pontiff in homage to St Francis of Assisi (a contemporary of ol’ Innocent III) – does seem like an OK guy. He is the first Jesuit pope, the first from the Americas (born in Buenos Aires), the first from the Southern Hemisphere, and the first from outside Europe for many centuries. Plus, of course, he’s the first to ascend the throne after his predecessor did a bunk while still breathing – though in Benedict XVI’s case he presumably didn’t use the well-worn excuse that he wanted to spend more time with his family. Francis favours a less formal approach to office, championing the poor and preferring to live in a boarding house rather than Vatican magnificence – even his vestments are less opulent than those who poped before, although he still walks around in a dress. 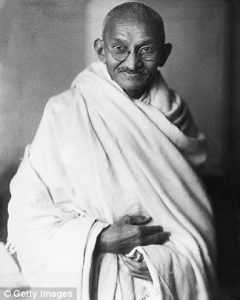 Someone else who wore a dress, albeit fashioned from a bed sheet, was Mohandas Karamchand (Mahatma) Gandhi, who is getting a mention for the second month running – he can pay me later in wine. The eponymous film, directed by Richard Attenborough and starring Ben Kingsley and John Gielgud (all Sirs, I believe) premiered in New Delhi on this day in 1982. At the 1983 Oscars, it walked away with the gold painted statuette for Best Picture. Any one for tennis? On 30/11/1986 Ivan Lendl became the first player to earn over $10 million in his lifetime – a massive amount of money now, even more so thirty years ago … Surprisingly, and although he won zillions of titles worldwide, the one that eluded him was Wimbledon (where I was born!) 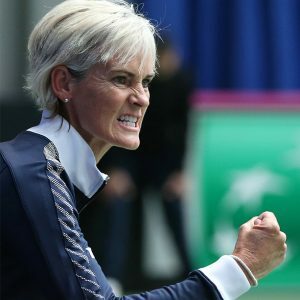 On-off coach to Andy Murray – I never could warm to him – Ivan must be a brave man to take on Judy Murray’s little boy, though not quite as brave as Kim Sears who now calls her ma-in-law. Scary woman. Princess Anne arrived a month after me and threw a spanner in the moniker works – the world was suddenly swamped with girls called Anne, which must have wiped the smug look from my mother’s face in record time. 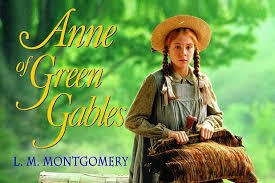 She called my sister Gillian – not, as far as I know, after any fictional character – and Gill/Gilli/never Gillian has hated it for every second of her sixty years. Oh, in case you were wondering, Nell Peters is a pen name, pinched from my parents’ Christian names because my real surname is an awfully big mouthful. 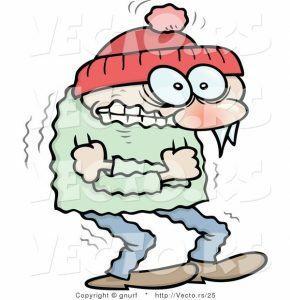 #3 son came back from India/Thailand on 15/11 for a couple of weeks and hasn’t stopped complaining about the cold since he landed. I’m just waiting for him to mention that his accommodation isn’t a patch on the rather swish apartments he now has in Mumbai and Bangkok – however, our house is free, which may make it a little more attractive. He’s flying out again on 4/12, and we’ll see him again on NYE when most of us are meeting up in London for the celebrations. Over Christmas, he’s sailing around the Philippines on what looks like rather a flash yacht – just to compete, I may ask for a ride around The Wash on one of our neighbour’s fishing fleet … His wife appeared on the doorstep recently, asking if the OH (who is very big on fish – eating them, that is) would like a few spares for the freezer. Transferring from her plate to mine, one of the corpses did a Lazarus and leapt onto the path in a bid for freedom – cue embarrassingly girly squeals from both of us. She assured me it was definitely deceased, but once in my kitchen it did another death defying leap from draining board to floor and flip-flopped around, making itself at home. Enter the ‘fisher of men’ to sort, while I averted my eyes, and along with its shoal buddies, it’s been reclining in the freezer for a few days now – no more flying fish acrobatics. And now I too must fly – away on my broomstick to wrong rights. We certainly want to see you In the New Year…if you can face it! In the meantime…go and have a rest. No ones watching- go on…sneak five minutes before life strikes again! Fab post, Anne, Nell and Jenny.